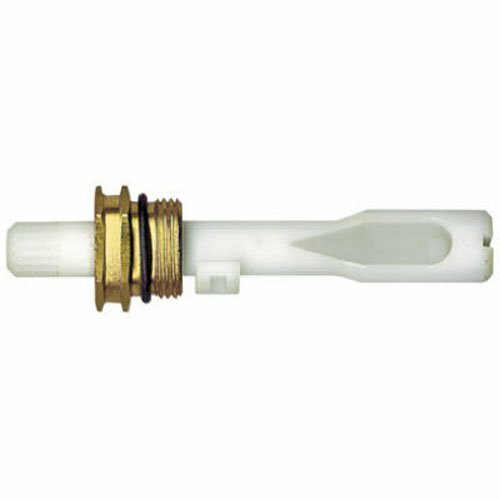 Diverter faucet stem for Stream way Faucets. For the tub and shower faucet applications. Replacement part for the diverter washer less faucet stem. Length: 3-1/2". Broach: J. Material: Brass and plastic. Finish: Brass and white. Easy-to-follow instructions included.